For the last 12 years our NYE events have sold out weeks in advance, with many being turned away! This year will be another sell-out event with hundreds of friends bringing in the New Year in GORGEOUS style. Our track record speaks for itself – with over 400 people attending our monthly events! 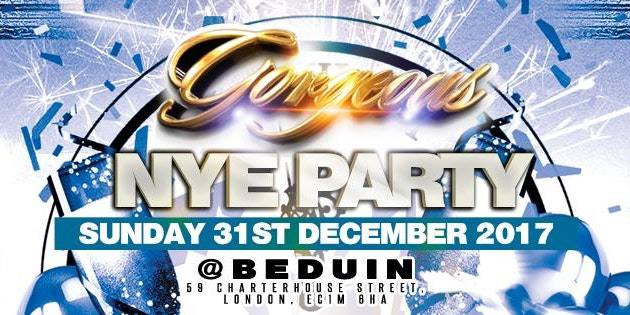 So, do the right thing and spend this New Years Eve with an event organiser that you can trust to deliver a great night! What makes the GORGEOUS NYE Party different from the rest? Its real simple - we focus on YOU!! It’s that simple - we make sure you have a great time at our events by providing GORGEOUS music in GORGEOUS surrounding with other like minded GORGEOUS people! Call 07958 552 838 for availability and price.